There are plenty of different avenues you can take with these miniature and transparent wedding chair allowing you to turn these fun and whimsical little accessories into a cherished part of any ceremony or event. Whether you are looking to use them as a novelty place card holder or a wonderful wedding favor, you can be sure that your guests will be delighted when they see these tiny seats. 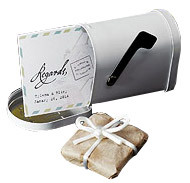 Probably the most common use for these items is as place card holders at a wedding or other formal celebration. You can either place the name card set upon the chair itself or you can use the customizable sticker as a way of telling people where they belong. A seat at your seat is a playful way to introduce them to their place at the wedding. You can also use these chairs as the centerpiece of an illuminated display. Couple these with the right lighting with the transparent frame of the pieces allowing the illumination to fill and filter through it. You can also use these tiny chairs as a serving dish. Combine it with the chocolate heart truffle bon bon box and give your guests a little treat, along with a delightful whimsy that they will get from the presentation with the clever little chair. 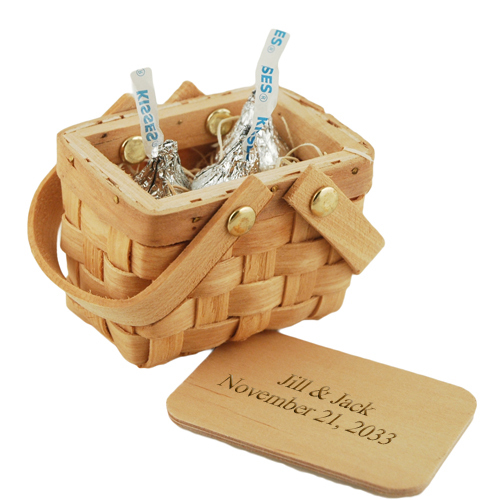 The sweet love trowel cake wedding favor is also a calorie free way to make these chairs tiny little treat displays. 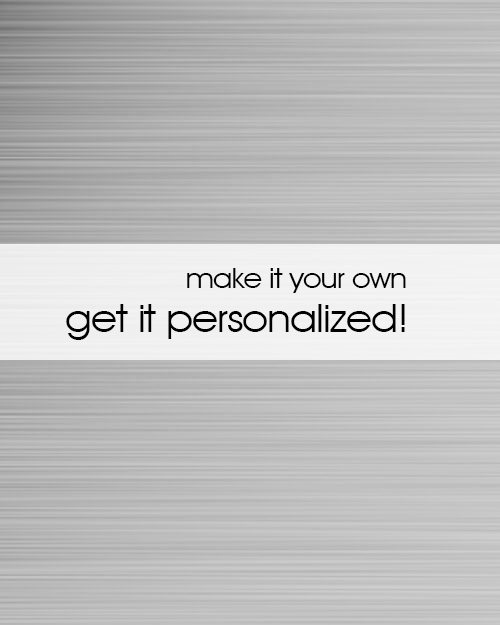 It comes with an optional personalized sticker that can contain any name or phrase that you like.